Me: Yes, though I Want My Money Back would currently be a more appropriate title. Tamil: I’m very sorry about the delay in sending your order. While looking into this, we found a problem that was preventing your order from shipping. This is corrected now, and your order will be shipping soon. I’d like to offer you a $5.00 promotional certificate as an apology for the delay. Me: How about Amazon sends my poor, forgotten nephew a $10.00 amazon gift card along with his book and you explain how what the problem was that kept this simple book from shipping? Tamil: I’m truly sorry! Autumn. I’d love to help you with this, however we don’t get an option to send a Gift card to the Gift receiver account. Me: Fine, however, I am quite curious as to what kept this book from being sent. It’s not like it was a giant table. If I don’t know what the problem was, how can I have any confidence that it is fixed? Tamil: I can assure that the item will be shipped soon. As soon as your order has shipped, we’ll send you a confirmation e-mail. Me: Yes, but this is not clearing up the mystery. WHY was the book not sent? Computer error? Warehouse error? Inquiring minds want to know, Tamil. Tamil: I can completely understand your concern, Autumn. This error is happened at the shipping department. And, this doesn’t happen usually. To correct this and to also assure you that this issue will be taken cared of properly, I’ve immediately forwarded your message to our shipping department as I know they’ll want to read about your experience, so that corrective actions will be made. Tamil: Please accept my sincere apologies for this. Me: Thank you, and thank you for the help. You shall not be forgetted. Tamil: You’re most welcome! Is there anything else I can assist you with today? Me: Nope. Unless you can arrange for balloons and a non-psychotic-looking clown at my nephew’s house. You are disconnected from Tamil. You are now reconnected with Tamil. Tamil: I’m sorry we were disconnected. I can pick up where we left off. Me: It was the clown, wasn’t it? Never mind, I’ll show myself out. You are now connected to Gaela from Amazon.com. Me: Order #109-7525277-1234567 still shows as not delivered, but delivery is expected on June 30th. I had an entire chat with TAMIL that should have resolved the problem on June 30th. Gaela: Hello, my name is Gaela. This doesn’t usually happen and I will surely pass this issue to the proper department to avoid this from happening again. I can confirmed that the order was not shipped. I am sorry for the inconvenience, Autumn. Upon checking here, there was no indication what is the problem or what happened on the order why it was not shipped. Me: So this is THE SECOND TIME this thing that usually doesn’t happen has happened with the same order. I will now paste the transcript of my chat with Tamil so you can see this for yourself. Gaela: I read your previous conversation, Autumn. I understand and I can validate how you feel. Gaela: I sincerely apologized for what happened and believe me I am here to help you. In this case, to help make up with the delay, I would suggest to just cancel this order and you may place a new order for the item. I would like to offer you 20% discount of the item’s price. Me: Galea, this is just not good enough. I have no faith in the fact that any order will ever arrive. I have now wasted at least an hour on chats and orders that apparently do not arrive and a problem is never fixed. Gaela: I understand your concern and I know my apologies will not cover all the inconvenience this has caused you. And we truly value this kind of feedback, as it helps us continue to improve our store and provide better service to our customers. I’ll be sure to pass your message on to the appropriate people in our company. Please bear with me. I am providing the best option I have here. Me: I want to know what the real problem is. I want to know how this little book didn’t ship. TWICE. What kind of glitch in Amazon’s system can show it as “not shipped” and have an expected arrival date that is now A WEEK behind today’s date. Gaela: I truly apologize, Autumn. I know how important this item is and I am trying my best to help and fix the problem. Me: It WAS an important item. Luckily, the recipient is three. He’s forgotten what he ate for breakfast, AND the loser auntie who forgot his birthday. I hope. Gaela: I’m very sorry about all of this. I hope you’ll consider this an isolated incident and give us another chance in the future. Me: Once is an isolated incident. Twice looks distressingly like a pattern. Can you refund the amount of time I’ve spent online trying to fix this issue? 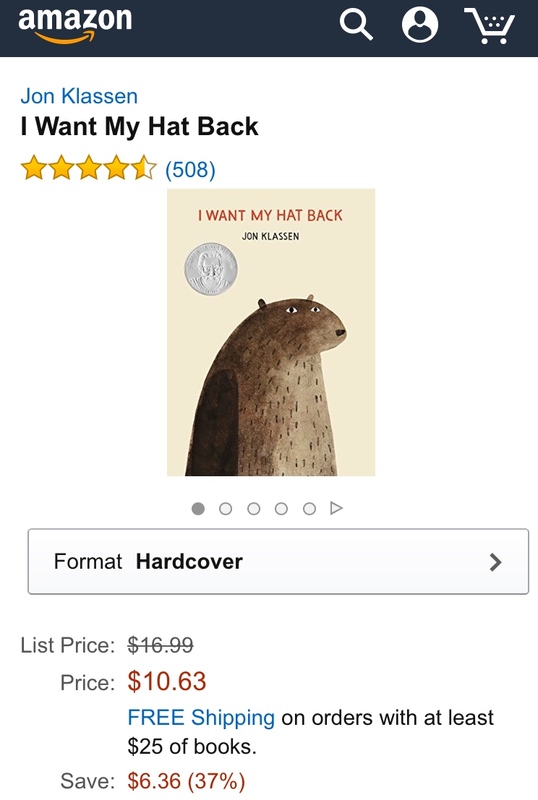 For one book that is under $11.00? Gaela: Please let me know what will make you feel better so I can check with my resources and see if we can accommodate. Me: I want the book to go to my nephew overnight. I think Amazon should pay for the overnight fees AND the cost of the book. Gaela: No problem, I can do that. Can you tell me how can I help and make you feel better? Me: How about a pony? Me: I hear ponies make people feel better. Also less scary than a clown. Gaela: I am sorry but pony is not familiar to me. Me: A pony is a small horse. Kids love them. 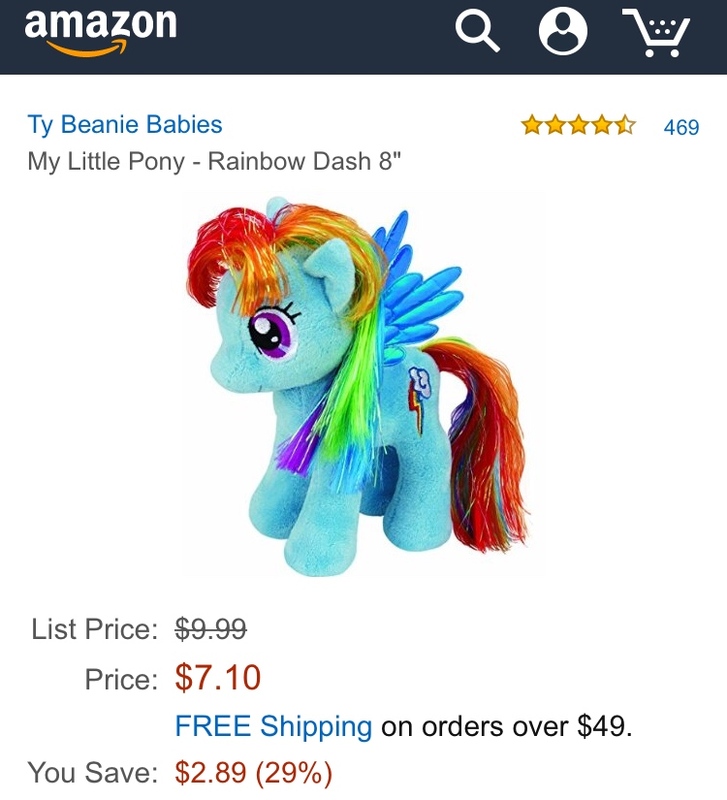 Gaela: Would you like this: http://www.amazon.com/My-Little-Pony-Rainbow-Dash? Me: Uh, no, I’m good. But thank you for being thorough. So is Amazon is beta testing an AI? Galea: I’m sorry, I do not understand? Me: Real persons know about ponies. Gaela: Oh, I am a real person and I know about ponies however, I thought you are just referring to a different pony or something. Me: I remain unconvinced. However, AI or human, have a good night. Gaela: I am a real person. 🙂 Have a good night! Enjoy your dreams of electric sheep, Gaela. Addendum: Yes, the package was delivered, albeit in TWO days, not one. My nephew was enthralled for a full twenty minutes before his older sister appropriated the book. So you never did find out what the issue was. Was it ever shipped? It was! My personal theory is that the order got trapped inside some sort of internal computer loop, where because it showed as arriving on time, Amazon thought there was no problem. Or maybe Amazon is so big now it’s like it’s own universe, complete with blackholes. Hahaha, that is hilarious. Love you sass. I used to work in customer sercice on the phones, and there’s there were so many tines I just wanted to forget procedure, forget scripts and just be real… Joke with them etc. But the rules are that we can only apologise, tell them vaguely its been sorted/passed on, and offer them some sort of compensation. Its soul destroying. Thanks, Anon! I read an article somewhere/ somewhen about how much better a company did when they allowed their customer service employees power and leeway to make the customer happy. Less soul-destroying, I guess? Perhaps it is work better done by an AI. Only the programmers better make sure they can identify ponies. Oh well. At least your nephew got his book. No harm done. Do you have problems with Amazon? I haven’t, although I’m not a frequent customer. Your transcripts are hilarious though. Are they real or did you embellish? If I had a robotic conversation like that with customer service then CS should definitely be AI. Humans aren’t needed for that. This is the first crazy awful Amazon event. They are generally pretty reliable. I’ve had these kinds of conversations. It’s enough to make me want to eat a carton of ice cream, and I haven’t been eating dairy for the past couple of years. There’s a scene in the latest episode of Mr. Robot that shows a woman coming home to her fully automated house and finding that it had been hacked. Scary stuff. The way ordinary computerized systems fail now and then, I can’t imagine letting a computer adjust the temperature in my shower. Or drive your car. No way, man. That would terrify me. These are hilarious. And you sound like you held nothing back in these couple of chats. Gaela seems to have a sense of humour by offering you that My Little Pony…or maybe she was mocking you? Perhaps when Gaela sent that her colleagues crowded around her computer and had a good laugh. At the pony. At you :/ I’m guessing this because I’ve worked in contact centres for quite a bit and customers get poked fun at when they are being hard to work with. I should’ve taken her up on the pony, then! AND the balloons. It must be a bummer to work in a call center. You have to fix a problem you didn’t create! That’s true. But she kinda enjoys her job. GAH! I hate dealing with customer service of any kind. Like 5% of the time they can help, but usually you get the rhetoric that you got. So sorry. Sincere apologies, etc, etc. Boooooo. Exactly. But they did get that little book out of limbo. Eventually. The nice thing about online chats, though, is there is a document that you can cut and paste and wave in the company’s face. Also put on your blog. My conversations with customer service have not been as entertaining as yours. Once a flight with Philippine Airlines was rescheduled from 8 pm to 6 am or something like that. Grrrr. I complained on their facebook and twitter and they called me and I got a free hotel for the night… that was the least they could do! Ugh! No one should be at the airport at 4 AM. NO ONE. Did you ask if they reimburse for lost sleep? I hope it was a nice hotel? It was just meh. But I only stayed there for a few hours sleeping. Ah, I also got free transportation to and from the airport. Free transport is the best. Well, free anything is the best. As both a professional Aunt and someone who experiences a good deal of incompetent alleged customer service, I am impressed. I am totally using the pony line. I love it! Truly a great compliment! You may steal pony anytime. Mainly, I try and amuse myself when dealing with customer service because that is better than throttling someone. Mostly. Hahahaha I love how real Gaela was with you… but wow, what robotic garbage they have to spew out! Insane. I’m not a huge fan of Amazon (especially after their NYT story leaked about how working in the corporate office is akin to hunger games), but since they’re so damn convenient I’m stuck with them. Dammit. Speaking of customer service and craziness, the Southwest Airlines servers all went psycho today so my flight (and hundreds of others) were delayed 4-5 hours, or even canceled. Luckily Southwest offered me a voucher without making me beg or fight for it. Anyway, I never used those chat thingies on Amazon. They do work! I always assumed it was AI as well. Hmmm. I won’t bother with the phone next time! I saw so many posts about SWA insanity!glad you survived. I know what you mean about Amazon. I hate that I love them, but for someone so far away from a large family? They are so useful. I think Amazon is so big that customer service has no idea what shipping is doing and shipping has no idea what IT is doing. So it will remain a mystery. Yes, Amazon is so very convenient! And my growing list of nieces and nephews are already input into my account. I’m too lazy to go elsewhere. Bad me. Also, I really enjoyed your transcripts. I’d like to have conversations like that, but I never have the nerve. Wait. I missed the progression. How does this post make you dumb? Well, if I want to keep myself from screaming obscenities at customer service, I have to amuse myself. It’s a defense mechanism, really.